Cheryl Granda of Glendon Place creates the kind of textile art you would find in galleries, museums, and the finest homes—like yours! She's a cross stitch designer with a passion for making art, holiday traditions, and family memories come alive in stitches and threads. When you stitch one of her designs, you are joining her in making the world a prettier place. 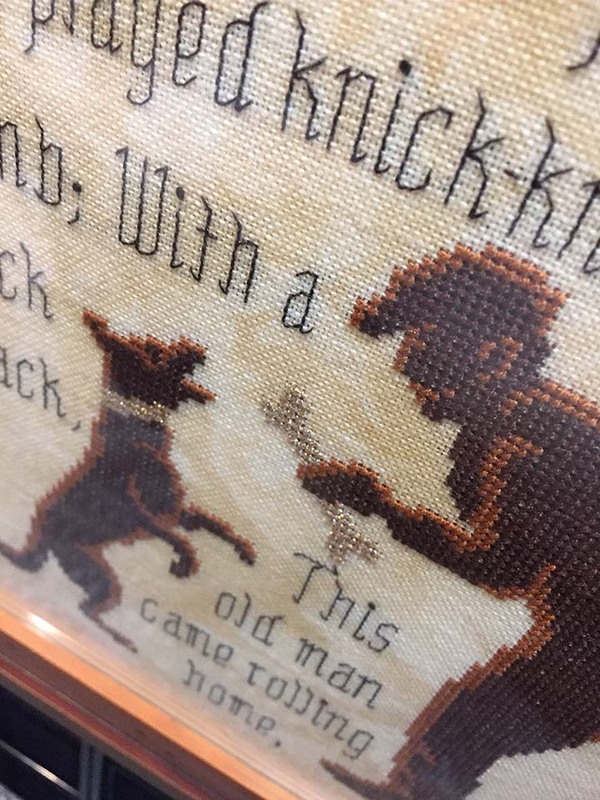 They're the kind of cross stitch designs that make you want to spend the extra money on nice framing. You will pass down these creations as family heirlooms. She often uses Kreinik metallic threads for added sparkle and texture, which adds even more visual interest. Take a look at her catalog here. 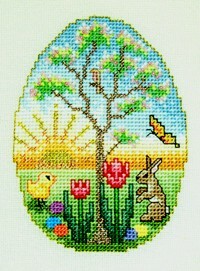 Embellishment packs containing beads and Kreinik metallic threads are available for some of her designs. We asked Cheryl if she had any new designs planned for the upcoming Nashville Needlework Market trade show in March 2019, and it was a resounding, "YES!" She is adding more to her vintage nursery rhyme series: the next one is Humpty Dumpty. If you can't wait to get a copy, ask your favorite needlework store to pick one up for you at the market. 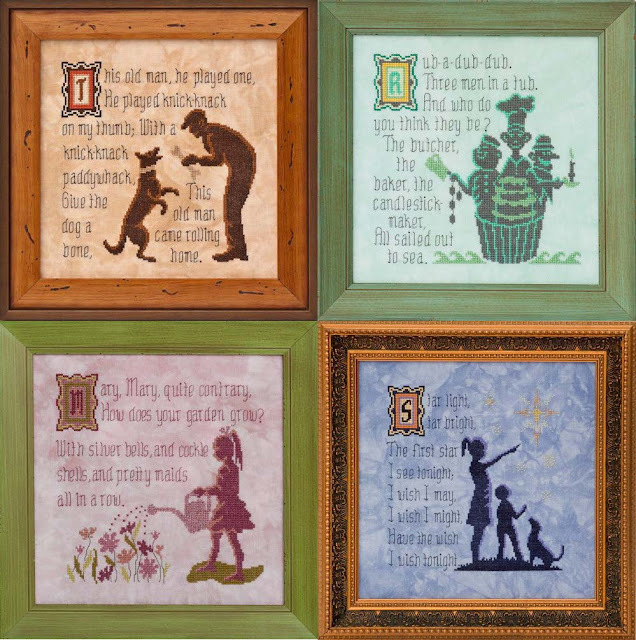 Shown are four designs in Glendon Place's vintage nursery rhyme series. Explore the designs in Cheryl Granda's design line, Glendon Place. You may find your next favorite project—or the next gift to stitch for someone special. Look for new designs in Glendon Place's vintage nursery rhyme series. Humpty Dumpty will be out in March 2019.